Let's face it, weight loss isn't easy. 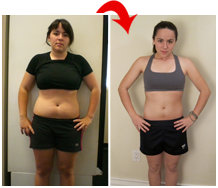 You have to work hard and take care of your body to achieve a healthy, maintainable weight. For teens, weight loss can be an even deeper struggle. Kids are constantly scrutinized over their looks in high school and being overweight could be no less than social torture. Yulin lost 35 lbs in 12 weeks! Jason helped me finally get on the right track to a healthy lifestyle. Now I’m headed to college, 25 pounds lighter, and more importantly, I feel great about how I look. Thanks, Jason! There is hope; teens don't have to be teased and bullied everyday over their appearance due to their weight. 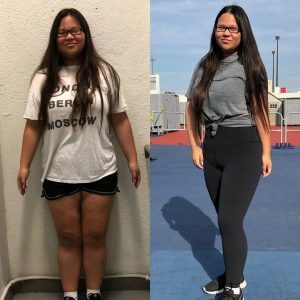 At Santa Monica Personal Training, we have devised a teen weight loss regimen and lifestyle that includes personal training 3 days a week for 1 hour, that can help your teen build confidence, and mental and physical strength. Trust me, this system works. I was a fat kid. It sucked. I fixed it. I can help your teen do it too. Our teenage years are often awkward ones. As our bodies change, different hormones are released which sometimes cause weight gain or loss. These changes can cause stress which can lead to anxiety or depression. It is clinically proven that regular exercise can relieve these growing pains. When the body is properly exercised it releases endorphins into the blood stream. These "feel good" chemicals can balance out our mental state, allowing us to better deal with anxiety, stress, and depression. In an effort to help improve your teen's well being and self image, personal trainers recommend regular exercise. Not only will this shed pounds and improve mood, it will also help improve mental focus. Focusing skills can help a student pay attention in class as well as the athlete perform better on the field. For more information on how regular exercise can help your teen beat the blues, stop the bullies, and improve focus, contact me (Jason) and the experts with Santa Monica Personal Training. Our dedicated fitness professionals can answer any questions you have about improving yours and your teens overall well being. Call today to find out about group or private personal training sessions.